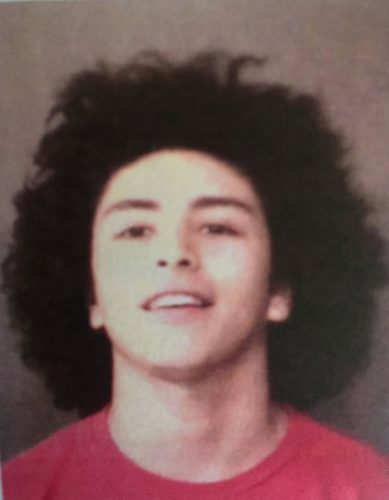 WARSAW — Javier Sanchez, 19, 12034 N. CR 1000E, Cromwell, is being charged with dealing in cocaine with enhancing circumstances, a level 3 felony. Sanchez was found in possession of cocaine with intent to deliver while in possession of a firearm. On Friday, June 24, Warsaw Police Officer Wayne Wilkie was dispatched to a Warsaw department store in reference to a shoplifter who fled from the asset protection officer. Upon arriving, Wilkie found Sanchez in the parking lot and observed him walk behind a vehicle. Wilkie ordered Sanchez to come out from behind the vehicle with his hands up. Wilkie observed the subject discard a backpack that Sanchez was wearing before he went behind the vehicle. According to the affidavit of probable cause, Wilkins found a roll of $20 bills, totaling $460 on Sanchez. The backpack contained a mason jar with marijuana, a Glock 19 which was loaded with four 9 mm full-metal-jacket bullets, numerous drug paraphernalia items, several containers containing possible THC oil, a cigarette pack that contained two baggies of cocaine weighing 3.4 grams and a black iPhone 6S with a stolen phone case on it. Sanchez is being held on a bond of $20,250 surety and cash.